There are times when all of our grand technology runs out of juice, all at once. The only problem being that we don’t have enough USB charge ports available to us to charge everything at once. FastMac finally has their U-Sockets shipping out as you read this. 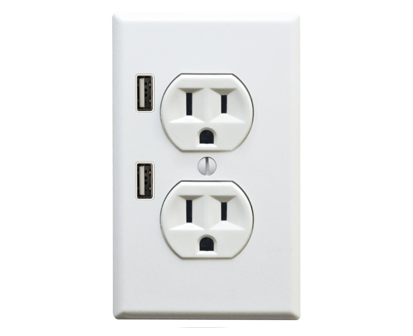 A U-Socket has all the normal capabilities for three-pronged ports, but also has USB charge ports as well. These super charger outlets can be installed on any pre-existing outlet, which makes for a very easy transfer. This is definitely the first of it’s kind on the market, and will improve the lives of gadget and gizmo-lovers across the states. Hopefully there are some designed for those around the globe who have a different shaped socket. These are only going to cost $19.95, and will help you charge everything when it needs to be charged instead of one at a time.